Partial dentures are basically fake teeth that are used to replace the natural teeth of a person who has lost a tooth or a couple of teeth. It is one of the most important inventions in the field of dentistry as it helps a person to enjoy having natural teeth in case of loss of teeth. Although it is true that the partial dentures fail to give the feeling and the comfort of a natural teeth but they are yet a benefit for those who do not have their natural teeth. They are flexible to use hence a biggest invention in the field of dentistry. 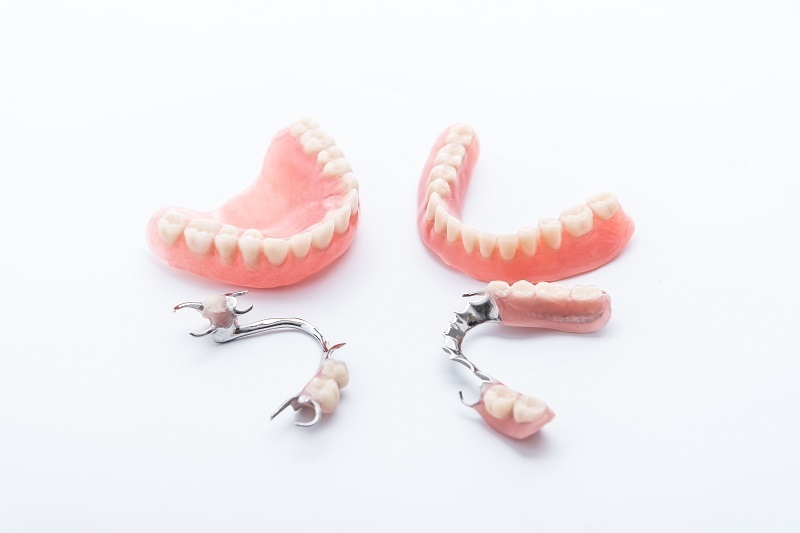 # The other name for partial dentures is removable dentures and hence they are flexible dentures that can be easily worn and removed and that is one of the most beneficial advantages for people who use them. If it becomes discomfort then it can also be removed instantly. The maintenance and cleaning of them is also easy as they should be cleaned after removing and once cleaned can also be easily placed back. Hence their installation is easy both for the dentist as well as for the user as it involves no surgery or other complexities involved in the time of installation. # One of the biggest advantages of partial dentures is that they are fitted to only those places that need to be filled due to the loss of teeth. Therefore, they are better for single tooth replacement as well as for a set of teeth replacement. # Unlike full denture options they are cheaper and pocket-friendly denture. Hence this factor makes them one of the most affordable options for teeth replacement. # Another most appealing advantage of partial dentures is that they can be made ready to use in a single day within a few hours or at maximum it takes two days for the making of them. Therefore, it is an instant relief option for those who are in urgent need for the replacement of their teeth. A person doesn’t need to wait for longer time unlike any other denture options. # One of the most prominent and important advantages involved in the use of a partial denture is the fact that they do not affect the teeth that is beside the one where the partial denture is placed in or fitted in. This is a greater advantage in the sense that they will only work in their own space and will not bother the surrounding teeth. This is a best choice for the one who needs a teeth replacement. # When using a partial denture for multiple teeth then single denture usually replaces all the required replacement and makes it comfortable for the users. In a single denture, all the missing teeth are curved so that the appearance becomes comfortable for them. Hence makes them an attractive option for the people who need partial dentures for multiple teeth. 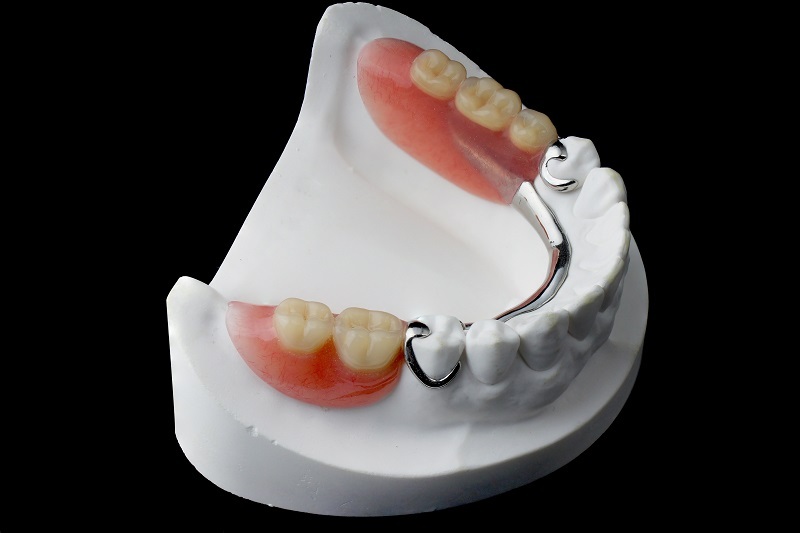 A partial denture is hence one of the most favorite denture options for the people because a lot of problems involved with permanent or fixed dentures can be taken care of by using this type of denture. But it is not completely true that the partial dentures are only advantageous. There are also related disadvantages of this type of denture but the advantages are so attractive and comfortable that they subside the disadvantages involved. If partial dentures are used complying with the instructions provided for the use of them, they can prove to be the best invention for replacing missing teeth.